Goose Gossage Needs to Understand the "Modern-Day Baseball"
There's no doubt that Baseball has unwritten rules just like every sport. For example running across the pitchers mound is a big no-no, watching your home runs is subject to a bench-clearer and slowly trotting around the bases after a home run yields a fair share of boos. And God forbid you should pump your fist after a strikeout. Oh, and yeah: don't steal any bases when you're blowing a team out. Just thought you should know. But it's time the game changes. With Goose Gossage's expletive filled rants, it brings back up the topic of how "showy" or how "cocky" a player can be. He expressed grief toward Jose Bautista's bat flip after single-handedly winning the game for the Toronto Blue Jays in the Postseason at home and of Bryce Harper. Gossage has a point that in regards to the unwritten rules of baseball, they should be following them according to history. But this new generation of baseball fans is unique and different. I'm apart of the newer and younger generation of baseball and I think I can speak for all of my age-range when I say that I don't care about the unwritten rules. I want to see David Price stare down Mike Trout after he strikes him out. I want to see Craig Kimbrel get fired up after mowing down hitter after hitter in the ninth. I want to see Xander Bogaerts pump his fist after he dives for a ball up the middle and throw the runner out at first. I want to see Mookie Betts pimp a bat flip after he launches one over the Monster. 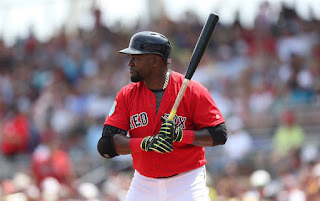 And of course, I want to see David Ortiz stand and watch his home runs skyrocket into the right field porch in Yankee Stadium for one more year. If some brawls start, some brawls start. Baseball needs some much-needed intensity. The game is getting stale and with this much younger, less amount of attention-span generation being ushered in, it's time the game gets some flash. The game becomes more fun to watch when some "rules" get broken and the other team feels disrespected. In hockey, after someone goes insane after a goal (which I love), the other team gets mad and the game becomes more intense. In basketball, after someone celebrates a three-pointer, the other team wants to get them back. The bottom line is the intensity gets ramped up and there's more to play for than just a win: you play for resect. In baseball, say in mid-July, there's not a heck of a lot to play for: that's what happens when you have 162 games. But breaking some of these unwritten rules throughout a game makes it more exciting to watch. So Mookie: if you want to steal a base late in the game to make it more exciting you go right ahead. And Papi: if you want to watch that ball soar into the New York sky, by all means you do it. The MLB can be great if they absorb the "flashy" younger generation. The veterans of the game need to step aside.